If you ever visit a North Indian restaurant and read the menu, amongst the few items which are a regular, this curry is one of them. It is surely a favorite amongst the old and the young and can be made in several ways. This time I made it on S’s demand. He has been asking me to make it for quite some time. One can read this statement very frequently in my posts and yet S believes I rarely indulge into cooking his favorites.LOL. Anyways, cooking this curry helped me in many ways..firstly S was happy that I made it, secondly, I made it in bulk so that I do not have to cook again for dinner, thirdly..It made my guests who were incidentally my parents, also happy and fourthly, I was happy to cook something nice with the veggies I had in store as I unable to go out and shop these days. My father has always encouraged and liked my cooking. And my Mom strongly believes that I am a better cook than her. I guess all mom’s think like that. But I feel really honored that even before marriage my parents and my brother always encouraged my cooking and trying out various things, especially my brother who would be saying all beautiful adjectives whenever I tried something new. I remember I tried attempting pizzas at home for him as he liked them very much. How much I miss him, that he isn’t around, and I just get a days or 2 in 2 yrs to spend with him now. But gladly, the 3 men in my life now are great supporters of my cooking and always encourage me to try new and are ready to eat whatever I cook. Lucky me! All these small-small things in your life make your life more bearable and pleasing. Else in today’s mundane world, where one is hounded with all kinds of pressures and agonies, life can become very exhausting and depressing. But all these small little things come for a rescue, isn’t it? Coming back to the curry, everyone relished the curry and the Jeera rice which I had made as it goes well with the curry, except for my little one for whom I had made sauted potatoes in minimal oil. My little one is down with Viral Hepatitis and is on a complete bed rest past one week. I was feeling sad for him as he is one Paneer lover and can eat it for breakfast, lunch and dinner. Sadly, he is on a strict diet regime with lots of no-no’s when it comes to food. I have promised him I will cook all his favorites once he is completely okay. So wait for more cottage-cheese recipes, which are round the corner.. This curry that I made is very subtle and is on the the delicate side when it comes to the flavors. But I assure you it’s worth trying as it has a distinguished taste and does not take a lot of time to cook and just melts in the mouth, provided the cottage cheese is fresh. I must also apologize to my fellow bloggers whose posts I am unable to read these days, I promise I will catch up soon with all of them. This post too I am typing when every one is asleep. 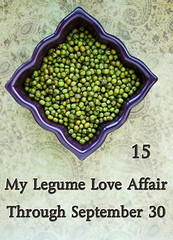 Heat the oil-ghee mix and throw in lightly crushed, both the cardamoms and a bay leaf. Now add very coarsely ground onion-garlic-ginger paste to it and cook on low heat till it’s lightly brown. Grind together the tomatoes and cashew nuts. This will not make a complete paste of the cashews and very small pieces of it are seen and tasted in the curry. Add this paste to the onions and cook again on low heat till the oil separates. Now add all the remaining spices (except the garam masala) and salt one by one and cook on low heat till the aroma releases. Add the potatoes, peas and cottage-cheese (paneer) and mix gently. Add water and bring the curry to a boil. Cover the pan with a lid and let the curry cook on low heat till it’s done. Serve with hot Jeera Rice. very nice one. Looks delicious. Nice side dish for chapati. And also it a double traet for us when our family members like this. Such a tempting and gorgeous masala, lovely dish..
Paneer is one of my favorite types of cheese, and I love this curry you made. So wonderful! This looks simply superb, perfect dear! Pari, for some reason , I am unable to view the Pics but the recipe sounds delicious!The cashewnuts give the curry very rich texture! Pari, your brother and parents sound so very dear, just like you! It makes me smile to hear a brother be encouraging and supportive of his sister (as my brother is to me). It means so much to have this encouragement from family, as much as we appreciate it from our friends as well. Beautiful photo. I would like to sample a big spoonful of this as it looks sooo good! You have a fabulous space here!!! "Encouragement boosts our enery"! PPP Curry looks delicious ! Lovely Presentation! Looks delicious and a nice family. I am always looking for a side-dish for chapathis and this sure would be a great choice:).